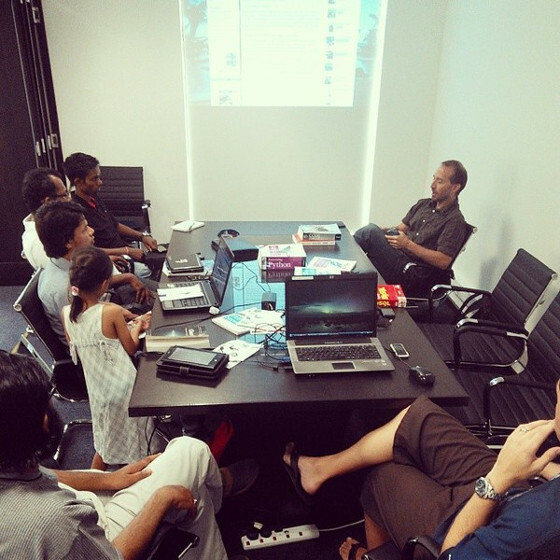 Last weekend the Mauritius Software Craftsmanship Community (MSCC) had been organising their latest monthly meetup. Once again, we met at the Ebene Accelerator, Orange Tower, Ebene. "Thank You to Ebene Accelerator for offering us the use of their conference rooms. It's really helpful and we like to be here." Since founding this community back in May 2013 it has been a great journey so far. Our weekly and of course our monthly meetups have been great fun and serious exchange of experience. This month we are going to pass the 6-month mark... And yes it's on the one hand quite remarkable to see what has been achieved during this short period and on the other hand I'm very happy to say that the #MSCC is hopefully not following all those unfortunate user groups that have been alive in Mauritius. Touching wood, the #MSCC is currently the most active IT community and we are working towards more members on our official website over at Meetup.com, and we are looking forward to encourage others to either re-animate their activities or to join us willingly. Based on an initiative of Yann, we started to organise small meetings with local IT companies in order to create more awareness about the MSCC in general but also to see whether there might be common interest and synergy effects. Up till now, we already had a conversation with representatives of Ceridian and Talents. Both companies seem to like our concept, ideas and mid-term plans about enforcing the IT landscape in Mauritius. Very positive for us is also that they both generously offered their facilities and eventually guest sessions for next meetups. It would be awesome to have the ability to introduce our community to more software developers, system administrators or DevOps during the next couple of month. Actually, we are very ambitious to reach 100+ craftsmen before the end of 2013. 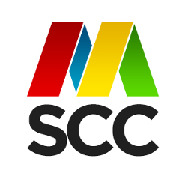 Dear reader, did you already join the MSCC? No, it's for free and anyone is welcome on our official site. Thanks! Typical setup: Relaxed and non-formal environment during our monthly MSCC meetups. Although announced as topic for this month, we simply skipped it. And I think it was completely okay to do so. Anyway, it's only post-poned and it's going to be a more practical session next time. As we already spoke about Red and Orange Grades, I would like to provide a number of source code snippets that we can analyse, discuss and refactor together. So, hold the line... we'll back in a moment. 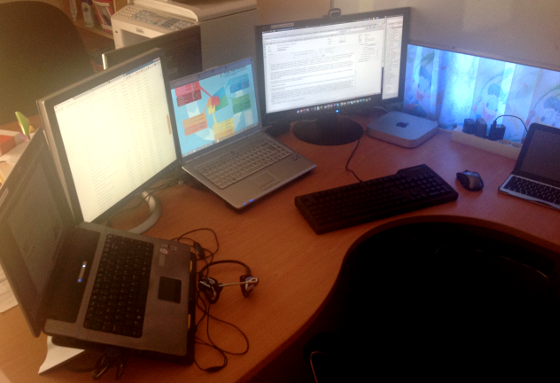 Working in IT usually means that you are sitting most of your time in front of your work desk. I mean, that's your profession day in, day out - something between 6 and 12 hours per day, 5 or even 6 days week, and so on. 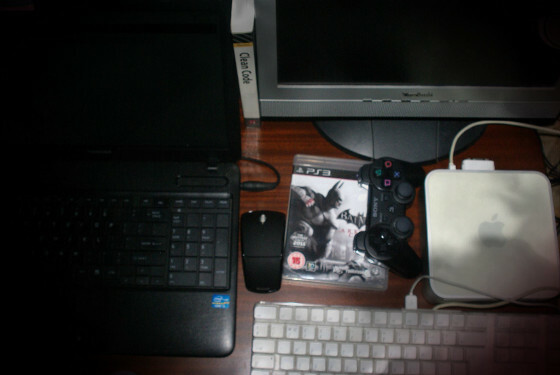 Having a proper working environment is crucial for your productivity and efficiency after all. 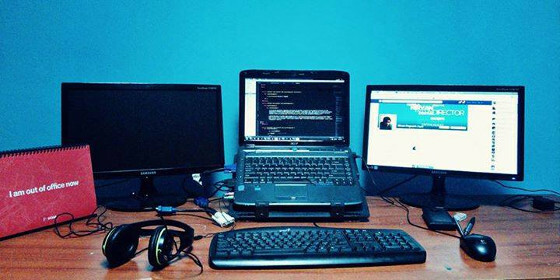 In those matters, I would like to refer to the 4 B's - Brain, Bytes, Back, Buns - The Programmer's Priorities - written by Scott Hanselman two years back, as well as a more recent article here on this blog: Essentials for Software Developer or any computer job. 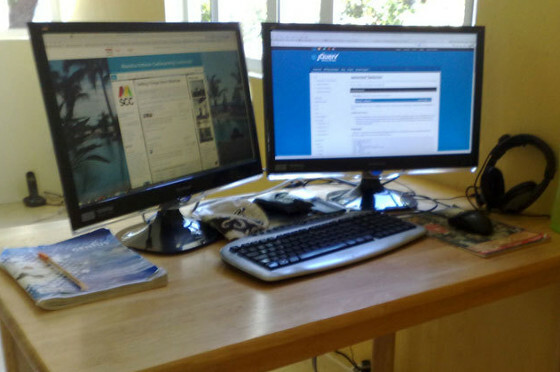 Due to my work as a IT consultant and working with a number of IT companies here in Mauritius, I clearly tell that the ergonomically aspects of a proper work environment are non-existent. Software developers, database administrators, system integrators, you name it are quite commonly sitting on the cheapest piece of furniture a company might be able to purchase here on the island. The major problem in most cases is the number of employees or ,frankly speaking, the lack of budget in order to provide comfort for the powerhouse workers. And same usually applies to the hardware equipment given to employees. Usually, just the cheapest stuff available and absolutely no chance for anyone to ask for replacement. Unfortunately, in some cases I also discovered that a developer brought her own hardware, like a high-quality keyboard and high-resolution optical mouse from home to her office work desk. Following an incomplete set of work desks we had a look at and talked about. More pictures of our craftsmen's workspaces and in general of our recent meetup are available in the photo gallery. Most interestingly, there is a repetitive pattern in the hardware: multiple screens, high quality peripherals and head-phones or head-set. Oh, and don't worry about hardware limitations... Using a software KVM like Synergy gives you the ability to share and use one set of peripherals across multiple machines independent of the operating system you're using. So, grab the old rusty PC or your previous laptop from the shelf and hook them up. Hopefully, there will be more announcements during the next couple of weeks and months. One of the hottest candidates that I would like to have here in Mauritius would be Microsoft BootCamp and Windows 8.1 and/or Windows Phone 8 development.